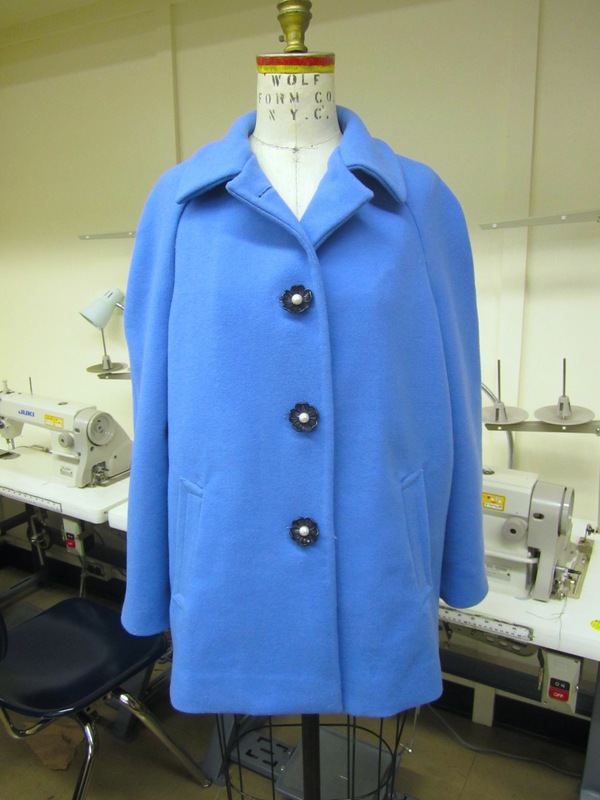 One of my projects this semester was a tailored wool coat. 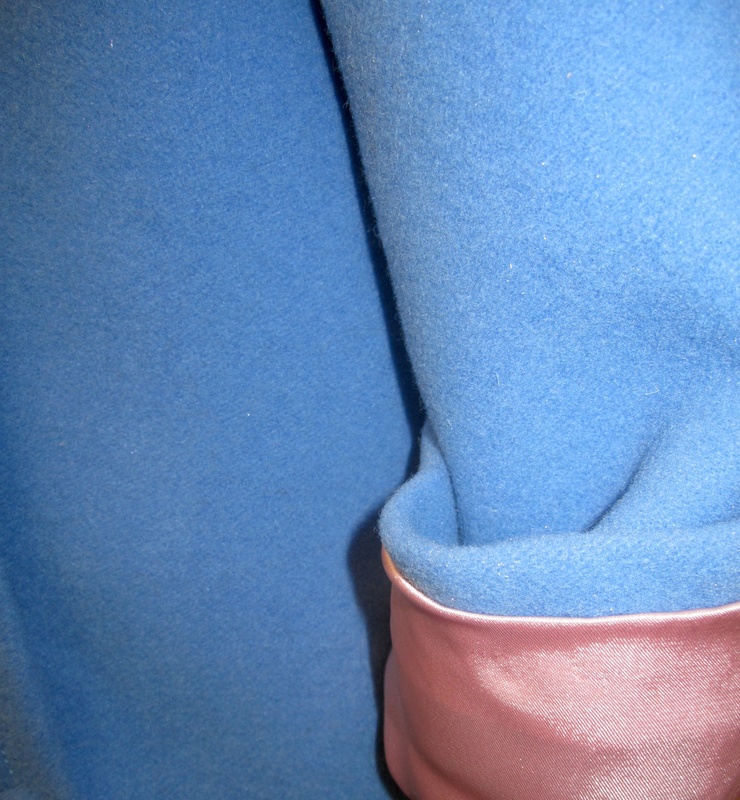 I've been affectionately referring to it as my Bubblegum Barbie coat because it reminds me so much of something a 1960s stewardess Barbie would wear. I actually shortened mine by nine and a half inches from the pattern our professor gave us-- a straight, below-the-knee coat just isn't something that has a place in my wardrobe. It would smoosh all of my twirly dresses. But I love it at this length! It's hard to tell when it's on the dressform, but the shortened version of the coat has a cute little balmacaan shape, it's much less boxy when it's on a real life person. Are these not the cutest buttons ever? There may have been grabby-hands made when I saw them in M&J. Luckily I had a very tolerant professor who didn't mind that they are definitely not the kind or size of buttons he told us to get. I just adjusted the buttonhole size, moved them over an extra eighth of an inch from the end of the lapel, and tah-dah! Flowery goodness. Oh my Julie, this is seriously SO cute. I LOVE the gold surprise when the sleeves are cuffed. Adorable. What a fun major you have! Opps, please forgive me, I see now that the lining is pink, even better!! Thank you so much! I'm glad you like it. Yay! The pink lining was sort of an unplanned choice-- I went to get some neutral lining, but I saw the pink and had to have it!